We all worried of some virus especially when plugging in any pendrives into any PC or laptops, here is what I have in mind on how to avoid those, even I am not worried to plug in any pendrives with viruses. Here is some tips to avoid the ‘autorun’ viruses. The above steps should works on most windows based OS. However, disabling those autoruns alone won’t do any tricks to avoid the “autorun viruses”. To avoid this virus, you have to refrain yourselves from double-clicking the drives on right hand side of windows explorer. Here is some example. 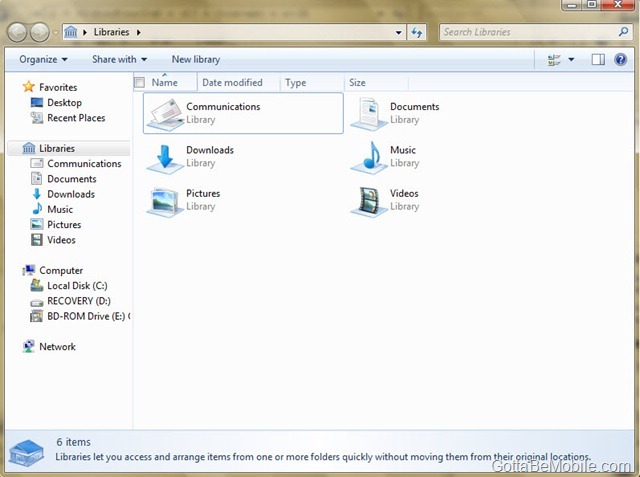 The left hand-side (LHS) of the windows explorer is called the directory tree view or directories. The right hand-side (RHS) is the view of whats inside of that particular folder. By double-clicking the drives or folders on the RHS, the autorun.inf automatically initiates itself especially on drives. Win XP users don’t have any troubles clicking the folders on LHS since it’ll be expanded automatically but not vista/7 platforms. Well, even if you run with the latest and so called “most powerful anti-viruses” won’t save you from those annoying “Autorun Viruses”. My best advice is to follow those steps above, disable autoruns, refrain from double-clicking any drives and folders from RHS of the windows explorer view (I’m sorry for vista/7 users, you have to face the reality). I knew this viruses since 2006 and I’ve disabled my autoruns, removed “my computer, Document, Music, Picture” from my start menu and desktop so others who used my computer unable to freely double-click the removable drives. If you still afraid of those, simply just install VirtualBox developed by Sun Microsystems. This application lets you run another OS inside your current live windows. When the Virtual Machine (VM) starts up, you can access the USB drives directly from the VM without affecting your REAL windows. Just give it a 10GB space at max and install words or anything necessary excluding anti-viruses.